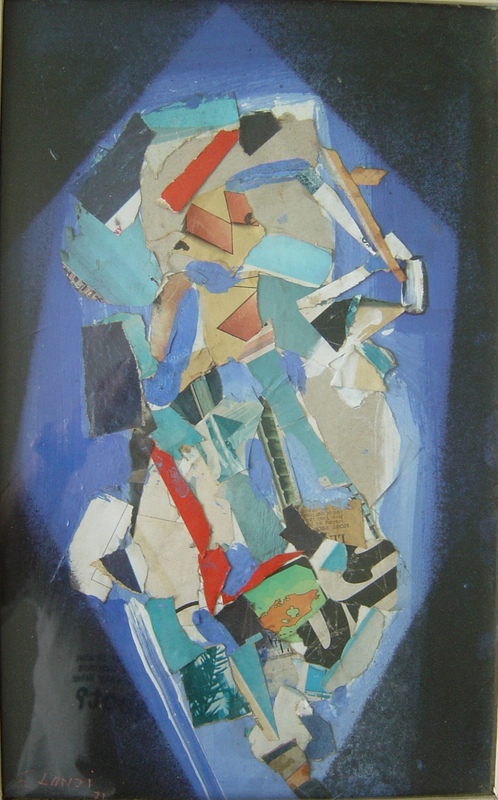 Oil & collage on board, signed and dated 1971. Exhibition number 342. Address details verso, plus price (£150, presumably 1971).